I saw one of the employees at our local grocery store up on a ladder dusting the top of a display last week, and I immediately thought: the franchise’s inspector is coming soon. I could be wrong — I didn’t interrupt his hard work to ask — but it got me thinking about the advantage of having to pass inspection from time to time. Most of us don’t have anyone from the outside coming to check up on us, of course, but we should be carrying on our own inspections. Because whether we realize it or not, bad housekeeping and dust are the enemies of good retailing. When a customer picks up a product and there is a ring left where the item has been, it reflects poorly on the item, showing that it hasn’t been touched in weeks. 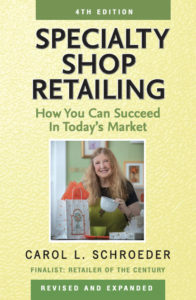 There is a retailing say (as you know, I’m very fond of these) that goes “Merchandise well kept is half sold.” A dusty shelf and aging inventory shows that you are not doing your best to protect the value of the money you’ve invested in merchandise. Many products do not age well, getting dog-eared, yellowed or frayed with time. You want the items you offer your customers to look fresh and new, so it’s important to keep your merchandise rotating so that the older goods are sold first. This system is called FIFO, or first in first out, for those of you who share my love of retailing terms. Good housekeeping throughout the store shows that you care about the quality of experience you are offering your customers. 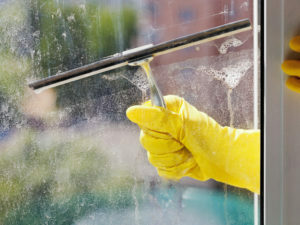 In addition to checking your shelves for dust, your daily or at least weekly inspection should include making sure that your windows are clean. Doors quickly get smudged with fingerprints, and need to be washed daily. Floors should be vacuumed or swept daily, and the bathroom cleaned and restocked. Please note that there will not be a Specialty Shop Retailing blog next week because of our daughter’s wedding.